[ Alfred Mond, Lord Melchett, industrialist, politician and Zionist. ] Autograph Letter Signed ('A Melchet [sic]') to 'My dear Anthony', regarding the Ancient Greek concept of the 'daimon'. On letterhead of Melchet Court, near Romsey. 21 February 1928. 6pp., 12mo, on six leaves. In good condition, lightly aged. He begins by thanking him for his 'most charming letter; and an inspiration to a young man', before commenting: 'Nothing pleases me more than your letters, which occur like intellectual milestones, epitomizing, where we have lately come from and where we are going.' The rest of the letter discusses the recipients use of the Greek word '[daimon]', of which Mond approves. He begins: 'Modern languages hardly have a translation of it. With a Preface by Alexander Macalister and two appendices. Pp. [xviii].69], 8vo, printed stiff paper wraps, illustrated (photos), frontispiece (two shots of the Royal Victoria Hospital Damascus), very good condition. Scarce. Only recorded copy on WorldCat/COPAC at BL, but the Wellcome has one. "Revised Edition, June 1974", Printed in England by Brown Knight & Truscott Ltd, London and Tonbridge. 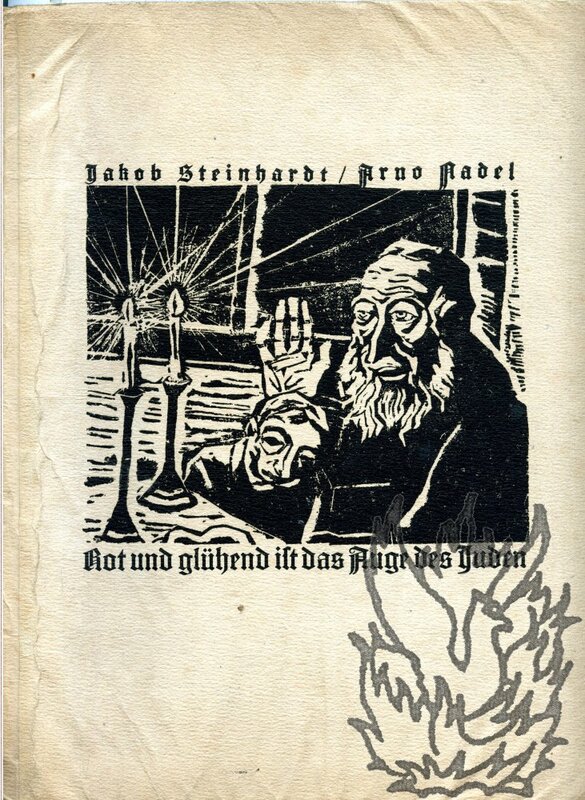 [ Jewish Tales ] Mimeographed typescript, in German and English, of 'Jewish Tales from Jerusalem', including stories told by Ascher Horowitz and T. Holpern, and an English translation of 'King Artus'. Undated (1920s?) and with place not stated. 4to, 71 pp, with one 12mo page at end. In poor condition, damp damaged and detached from green cloth covers, but with texts legible and complete. Manuscript table of contents on recto of first leaf describes nine tales in German, told by Ascher Horowitz and T.
[ Sir Frank Stockdale in Palestine. ] Autograph journal of trip to the British Mandate of Palestine and to Transjordan, undertaken on behalf of the British Colonial Office, and giving a mass of information about agriculture and related matters. [ Colonial Office, Whitehall. ] British Mandate of Palestine, and Transjordan. 18 March to 29 April [ between 1935 and 1937 ]. 97pp., 12mo. In good condition, on aged paper, with staples rusted away. In government-supplied 'S.O. Book 136' notebook, with brown card printed cover ('G. R. | Supplied for the Public Service'). Ownership signature on front cover: 'F. A. Stockdale | Colonial Office'. Year not stated, but can be dated from an accompanying leaf of pencil notes (2pp., 12mo), dated 25 April 1935. Written in a close and difficult hand. Ends abruptly, suggesting a subsequent volume. [ Nisim Aloni, Israeli playwright. ] Typescript, in French, of 'La Princesse Americaine de Nissim Aloni. Traduit par Ruth Koppel-Debel'. 74pp., 8vo. Stapled duplicated typescript, with pages on rectos only. In fair condition, with moderate signs of age and wear. Light staining at head, and discoloured title-leaf detaching. A few minor manuscript emendations, and '-Debel' added in manuscript to the translator's name. 'La Princesse Americaine' was first performed in 1963, and like Aloni's other early work was influenced by the European Theatre of the Absurd. An English translation of the play appeared in 1980, but OCLC WorldCat has no record of the publication of a French translation. [ The South Kensington Debating Society. ] Manuscript minute book, signed by chairmen Sir Charles Petrie, John Terry and Dorothy Saward and others. Topics include National Socialism (Unity Mitford speaking), Palestine Question and Spanish Civil War. The South Kensington Debating Society, 23 Stratford Rd, W8 [London]. 7 June 1938 to 1 February 1949. H. G. Wells had been a member of an organisation of the same name at the end of the nineteenth century, but the two appear unrelated. The background to the present SKDS is explained in a loosely-inserted cutting from the Observer, 6 February 1938, which states that the Conservative at Kensington 'have a very vigorous Debating Society, of which the chairman is Miss Dorothy Saward. It meets once a month, and Miss Saward has been singularly successful in her choice both of motions and speakers'. Published by the Committee of the Palestine Exploration Fund, [London], 1882. 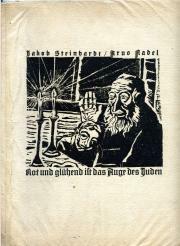 Pamphlet, 19pp., 8vo, disbound, library marks on title page. "Read before the Geographical Section of the British Association at York in 1881." The survey included the territory of modern-day Israel. No copy on the market currently (except PODs). Seven copies recorded on COPAC/WorldCat: Glasgow, Aberdeen, NL Israel, NSW, 2 USA. Printed programme for a 'series of bible lectures' on 'Palestine & The Jews', at the Rechabite Hall, Tan Bank, Wellington. The Rechabite Hall, Tan Bank, Wellington [Telford, Shropshire]. February 1938. 2pp., on 16mo, bifoliate card. In good condition, lightly-aged. One panel advertises 'a series of bible lectures to be delivered (God willing) by the Ecclesia in Wellington': 'SEATS FREE. NO COLLECTION. BRING BIBLES FOR REFERENCE.' The text explains that 'Palestine is very much in the public eye at this time as men watch the developments in the Land concerning which the Bible says so much: yet few realise that current events there are fulfilment of Bible prophecy, and that the future of the Land is also foretold in no uncertain way. [Morton Luce, Shakespeare scholar.] 29 ALsS, 1 ANS and 1 ACS, to R. N. Green-Armytage of Bath, on literary and personal affairs, with reference to individuals including Edmund Gosse and Sir Israel Gollancz. All from 6 Walliscote Road, South, Weston-super-Mare. Between 18 August 1921 and 29 October 1929. The letters total 36pp., 12mo; 12pp., 8vo. The collection is in good condition, on lightly-aged paper. Seventeen of the envelopes are present, all addressed to Green-Armytage at Bath (fourteen to 22 Bathwick Hill, two to 5 Queen's Parade, and one to 'Bath'). Printed and published by The New and Latter House of Israel, New Brompton, Kent. Dating from 1887-1933, and comprising: Vol.1, 7 issues,1887-1889; Vol.2, 78 issues, 1890-1892; Vol.3, 3 issues, all 1893; Vol.18, 1 issue, 1914; Vol.27, 1 issue, 1933. An excessively scarce run of issues of the organ of the Jezreelite sect, founded by James Jershom Jezreel (real name James Roland White), under the inspiration of Joanna Southcott and John Wroe, and most famous for the unfinished construction of 'Jezreel's Tower' in Gillingham, Kent. For more information see P. J. Rogers, 'The Sixth Trumpeter' (OUP, 1963). The ninety issues in this incomplete run contain a variety of articles and poems in the same declamatory and horatory style. Autograph Letter Signed ('Walter Besant M.A. | Secretary') from Sir Walter Besant, as Secretary of the Palestine Exploration Fund, to an unnamed male correspondent. 1 August 1870; 9 Pall Mall East, on letterhead of the Palestine Exploration Fund. 4 pp, 12mo. Bifolium. 51 lines. Text clear and complete. Fair, on lightly-aged paper. The General Committe have asked Besant to thank the recipient for his 'kind assistance during the last year, and to express their hopes that your sympathy with the objects which they have at heart will still continue'. Typed Letter Signed ('Simon Marks') to John Cohen. 8vo, 1 page. Somewhat grubby; laid down on leaf removed from autograph album. Thanks him for his letter respecting the Goethe Centenary Festival. 'I shall be very glad to see you about March 11th. I am going away tomorrow for a short cruise, and will not be back until about that time. If you will get into touch with me then, I can arrange to see you.' Slightly smudged signature in green ink. Signed publicity leaflet with photographic portrait. Undated [1930s? ]; 'All Communications to Harold Holt, 3 Clifford Street, London, W.1. Telephone: Regent 6845'. Octavo bifolium on shiny art paper. A bit grubby, with two horizontal fold lines across photograph of Miss Doniach's head and shoulders in profile. Signed beneath photograph in blue ink. Central section contains twelve press opinions, ranging from Ernest Newman in the Sunday Times to the Amsterdam Handelsblatt. Autograph Letter Signed ('Herbert Samuel') to unnamed male correspondent. 15 July 1898; High Cliff, Felixstowe [on cancelled letterhead 49 Palace Court. W.]. Eleven Autograph Letters Signed to Sir Henry Trueman Wood (10) and G. K. Menzies (1), Secretaries, Royal Society of Arts. 1915-18; ten on embossed letterheads, 'BARKHAM RECTORY, WOKINGHAM.' and one on letterhead of the British Archaeological Association. English antiquary (1854-1930), writer on topography, history and architecture. All items 12mo, and good, though on slightly discoloured paper. All docketed and bearing the Society's stamp. Regarding the Society's business, and in particular a lecture given at Wood's invitation. 1 March 1916: 'Sir Sidney Lee, whom I know, slightly[,] would be an admirable chairman - quite the best. Failing him I think Sir Henry Howarth, who is a friend of mine, would be excellent. If he cannot come - Lady Howarth has been very ill lately - Mr.